Is Your Bank Account a Little Dry? Precariously located Tajikistan takes some of its sociopolitical cue from its surrounding neighbors: Afghanistan, China, Uzbekistan and Kyrgyzstan. All have vastly divergent social, political and economic characteristics. Once part of the Soviet Union, Tajikistan has been one of the countries whose changes have manifested themselves most assertively in civil war and general social and political unrest. Ancestrally, the country has intimate ties with Iran and is a bit reluctant to wholeheartedly embrace capitalism, unlike other former Soviet countries. Students studying in Tajikistan might explore programs that survey a number of regional countries. Otherwise, there are programs through high-level research organizations whose funding comes from the Title VIII program, which is funded by the U.S. Department of State for the express purpose to providing educational collaboration among U.S. and Eastern European/Eurasian students and scholars. The U.S. college and university scholarship scene changed drastically and for the better when the National Security Education Program launched its David L. Boren Scholarships in versions for both undergraduate and graduate students. The driving force behind the program that awards a few hundred very generous and now fiercely contested scholarships, to increase the level of international awareness and understanding among U.S. professionals and recruit the next generation of national security personnel. The Boren Scholarships are scholarship for service awards; you win a year of scholarship support in exchange for your expertise working in the federal government. 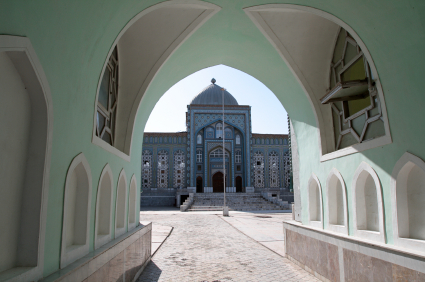 Recipients can study for up to a year in Tajikistan and other nontraditional destinations. Approved programs include language and culture studies or those targeting the math/science/engineering fields. Awards are up to $20,000. Boren Fellowships for graduate students provide up to $30,000 for study abroad for 12 weeks to two years. Another robust federal program, Benjamin A. Gilman International Scholarships, was designed for students who otherwise would not be able to afford to study abroad. More than 2,300 scholarships of up to $5,000 are given out each year for study programs around the globe, including Tajikistan. The Gilman Scholarship Program support students with high financial need, community college students, students in under-represented fields such as the sciences and engineering, students with diverse ethnic backgrounds, and students with disabilities. Applicants for the program must be federal Pell Grant recipients. Recipients must study in their chosen country for at least four weeks. The International Research and Exchanges Board (IREX) offers highly advanced educational and professional programs designed to build effective, collaborative communication between Western students and Eastern European/Eurasian. Other goals of the not-for-profit organization include supporting free speech in print and in the digital realm. IREX sponsors generous scholarships for innovative students interested in foreign affairs, economics, and business, but they are contingent on federal funding. The Short-Term Travel Fellowships provide up to $10,000 for up to eight weeks of study in Tajikistan. Eligible applicants must present a highly focused project proposal that clearly may be completed within the allotted time and emphasizes international policy, business, economics or another closely related theme. There are several other programs; check to see if they have been funded. American Councils for International Education is another not-for-profit, internationally recognized organization. It specializes in high-level programs that engage scholars from Western institutions and those from Eastern European/Eurasian. Much of the funding for programs comes from the Title VIII initiative. Its is the Title VIII The Research Scholar Program and Combined Research and Language Training Program (CRLT) provide up to nine months of full support for overseas research in Eurasia. It covers the costs of international travel, housing, insurance, housing, academic affiliations, and language instruction. It offers several other programs, too. Pre-Dissertation Awards enable early-stage graduate students to perform field assessments of up to four weeks for archival exploration, preliminary interviews, and feasibility studies related to their dissertations. They award no more than than $3,000. Dissertation Development Awards provide one year of support to enable a doctoral student to more promptly complete their PhD dissertation. About 10 awards of up to $20,000 are granted.